PCR-based DNA analysis is very powerful technology for the discrimination of biological evidence sources. It enables scientists to quickly replicate many genes from the small amounts of DNA obtainable from even minute biological deposits and stains. Another advantage of PCR-based DNA typing is the ability to analyze samples that have been compromised by environmental factors or microbial proliferation. Our laboratory utilizes Investigator® 24plex a Short Tandem Repeat (STR)-based assays for human identification applications. The kit includes a multiplex assay which simultaneously amplifies 22 genetic markers or loci, and a gender-determining marker in human DNA providing discrimination potential to uniqueness. Investigator® 24plex includes the expanded CODIS, the Combined DNA Index System, core loci used by law enforcement to help identify the likely source of biological evidence. Y-STR analysis at our laboratory through the use of Y-Filer®, a 17 locus assay, meets a specific challenge presented by many forensic samples not otherwise amenable to standard DNA analysis. 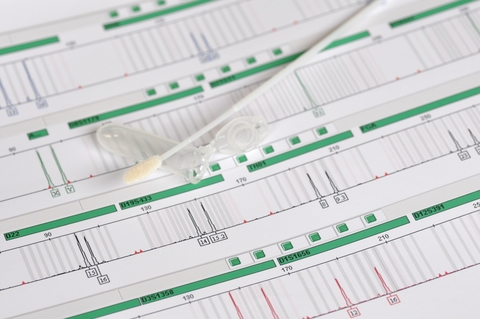 In mixed samples often encountered in sexual assault cases, where the amount of female DNA can overwhelm or mask low-level male DNA, Y-STR analysis targets only genes on the Y chromosome, thereby effectively isolating the male DNA. In this fashion, a variety of samples that have been problematic in the past are now capable of genetic discrimination. Examples where this technology is useful include female body/skin swabs with low numbers of male epithelial cells, fingernail scrapings or clippings from female victims, items handled or worn by male assailants during the commission of a crime, and in determining the number of males contributing to complex mixtures. While not as discriminating as standard autosomal DNA testing, the ability to detect only DNA deposited by a male expands the range of samples on which successful DNA analysis can be performed, providing another powerful investigative tool to potentially link the perpetrator to a crime.